The hot dog. It epitomizes baseball, Summer, and outdoor grilling in our country. So why, with the world’s culture at our culinary fingertips, do we constantly make the one American Summer standard the same way over and over again? 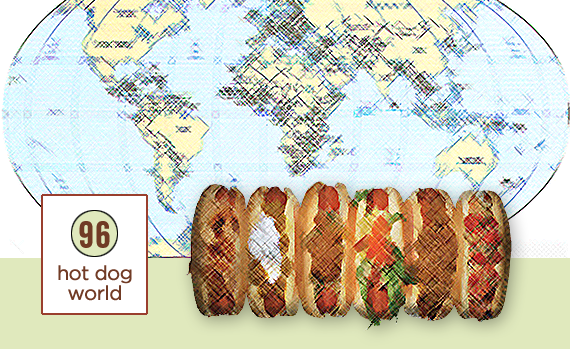 Today we’re discussing the many ways we can bring the world’s incredibly vast flavors to our boring hot dogs, and make things fun again. Who said it was against the rules to make a hot dog that wasn’t topped with ketchup, mustard, relish, onions, and/or (if you live in Chicago) the addition of fresh tomato and a pickle wedge? Put on your big boy pants. This is going to get messy. Your browser cannot play this audio. Please upgrade to IE 9+, Firefox, Safari, or Chrome. 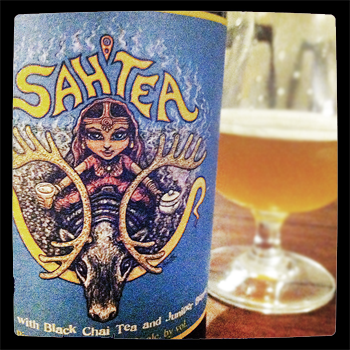 • Sah’tea from Dogfish Head – 6 out of 5 stars. It really is that good. • Eating healthy is actually far cheaper than eating poorly, despite what you’ve heard. • Thomas Keller tells locavores to stuff it. He’s got a restaurant to run. • Do we really need all-you-can-eat restaurants anymore?